Algae, in normal levels, provide the necessary ecosystem nutrients and oxygen for marine organisms and humans. There are some species of algae, however, that accumulate in large quantities and produce toxins. These toxins are detrimental biologically to human and endangered species health and economically to local fisheries and tourism. Initiatives like the US Integrated Ocean Observing System and Gulf of Mexico Coastal Ocean Observing System Regional Association (GCOOS-RA) work with local institutions to monitor harmful algal blooms. Although there are methods of observing algae, the inconsistency in growth patterns makes it impossible to tackle the issue without collaborative effort. Through the use of a technology known as the Imaging Flow CytoBot, hosted by Texas A&M University, the poisoning of shellfish by the algae Dinophysis was prevented. The instrument uses real-time high-resolution video and a flow cytometer to capture images of harmful plankton species. More specifically, this technology helps prevent the spread of toxins to humans by closing oyster farms that could be affected by the poisons. This is an especially important public health tool that provides coastal communities with the time needed to protect wildlife and humans. 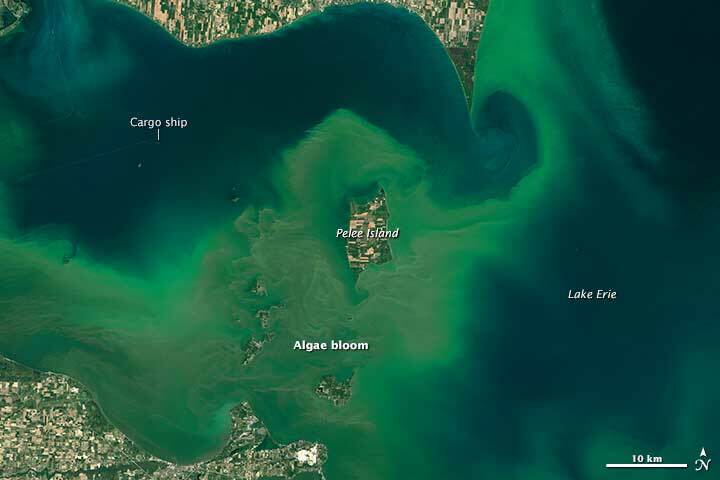 Algae Boom in Lake Erie in 2015. Source: NASA. These HABIOS plan will likely be accomplished in six implementation steps. First, the monitoring stations need to increase collectivity so information is relayed timely and reliably. These observations would be collected with remote sensing and integrated into models spatially and statistically. Second, the data must be sorted in order of importance and the performance of each station must be evaluated. Third, the observations need to be linked to public health and living marine resources. This step creates the importance and urgency of management and mitigation of algal blooms. Fourth, operational technologies need to be improved to better tackle the present issue of HABs. Fifth, the collected information needs to be relayed publically so coastal communities can take necessary precautions. Sixth, plans need to be integrated into daily life and prevention protocols. Due to the economic impacts of HABs, the initiatives of HABIOS are constrained financially. Once the Gulf of Mexico has control of the algal blooms close to the coast, the area can be opened up to economic stimulus again. Until then, these initiatives need time and capital to remain a viable solution. 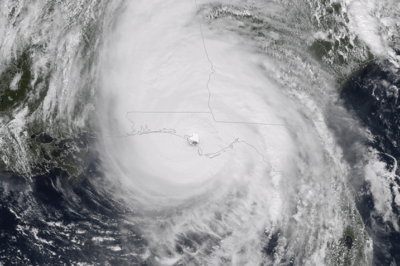 Gulf of Mexico Coastal Ocean Observing System-Regional Association (GCOOS-RA). “New plan lays framework for Gulf-wide observing and warning system for red tides.” ScienceDaily. ScienceDaily, 3 December 2015. <www.sciencedaily.com/releases/2015/12/151203112932.htm>.